Different factors affect our final woven outcome, and if you’ve been checking out our twitter and Instagram this week, you will already have been introduced to a few of those ‘x + y’s’. 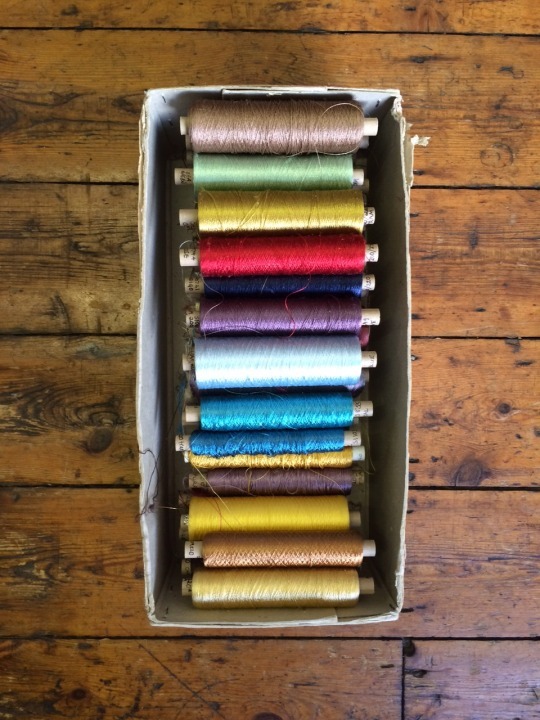 Silk (protein fibre) – Lovely drape and gorgeous rich shine. Makes for a very versatile end fabric, maintaining warmth in colder months and the opposite in summer. Silk is highly sought-after and the process of extracting the silk fibre from silkworm cocoons is relatively time-consuming, making silk in its various forms an expensive fabric. Flax (cellulose fibre) – A dry and crisp yarn used for linen weaving. Linen is often ridged and crunchy but, with finishing, linen can have great drape-ability and is often associated with summer weight, breathable fabrics due to its natural properties. Cotton (cellulose fibre) – Mercerised cotton has a lovely shine and depth of colour which makes it a useful and more affordable alternative to silk. Un-mercerised cotton is a lovely matt option and is most commonly associated with Denim. Cotton in whichever form is often used for hardwearing fabrics and is an exceptionally adaptable yarn. Wool (protein fibre) – Naturally fire retardant and water repellent, wool is best used in the colder months as an insulating fabric, great for blankets and throws. Wool cloth is soft and even softer when finished, producing a hard wearing, sometimes felted fabric for keeping those unwanted drafts out. 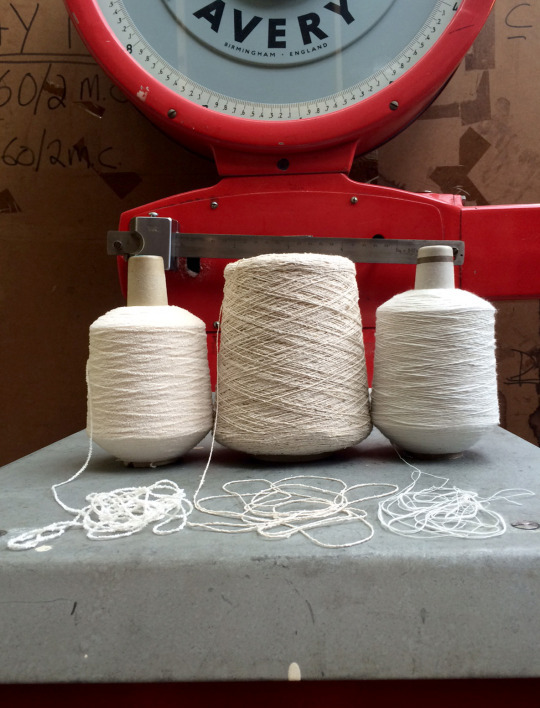 y = structure: Weave structure is essential as it dictates how the yarns selected combine to create the woven cloth. Tabby/ Plain Weave – a tight, matt weave that is equal parts warp and weft so that both the face and back of the fabric look identical. Depending on the warp count and yarns used, tabby can produce highly durable cloth, or beautiful, light weight taffetas. If the warp and weft yarn used are different in colour, the fabric will have a two tone iridescence. Twill – diagonal in structure, twills are best associated with denim or tweed, forming the basis for some of the best loved fabrics in the suiting world; Herringbone, houndstooth and check to name just a few. This structure produces a certain amount of elasticity in the finished cloth. Satin/ Sateen this weave structure produces luxurious feeling fabrics with predominant warp or weft coverage and a great depth of colour. Unlike twills, satins or sateens are less noticeable to the eye, with equal distance between each point of the weave structure. 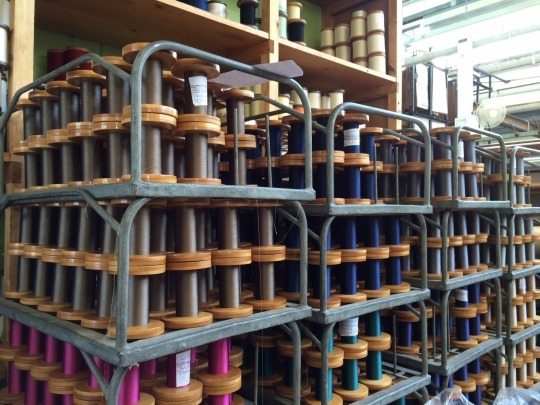 x = loom: Because of the way we work at Gainsborough, we weave specific designs and fabrics on specific looms. All of our looms, whether new or old, have different warp counts, which places limitations on what yarn can be used as warp thread and what final cloth weight can be produced. Hattersley Jacquard – Our 1930s Hattersley looms still make up the main machine force in our factory. Our Hattersley looms use cards to tell the loom what warp threads to lift and drop to form the design. Each of the Hattersley looms has a specific jacquard harness set up and will have specific sets of cards that go with each. The jacquard harness also dictates how the design will weave; for example, the scale of the design and the way the design repeats across the loom are both variable factors and must be considered before the design process and card cutting takes place. Hattersley Dobby– Dobby looms do not have a jacquard harness and cannot produce the larger scale, intricate designs associated with jacquard weaving. 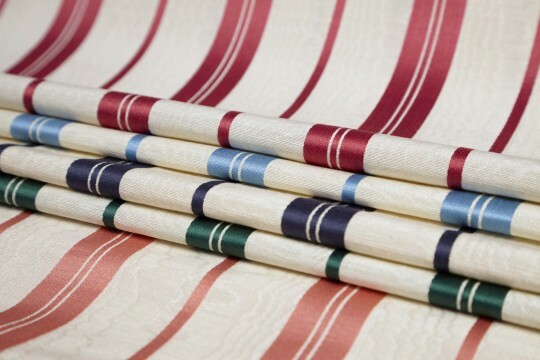 For stripes or plain fabrics, our dobby looms are great, and we have different dobby set-ups to create different weights of cloth using different counts of warp and altering the weave structure appearance. Dornier and Dataweave – Our Dornier and Dataweave looms operate with digital files generated from our CAD software. 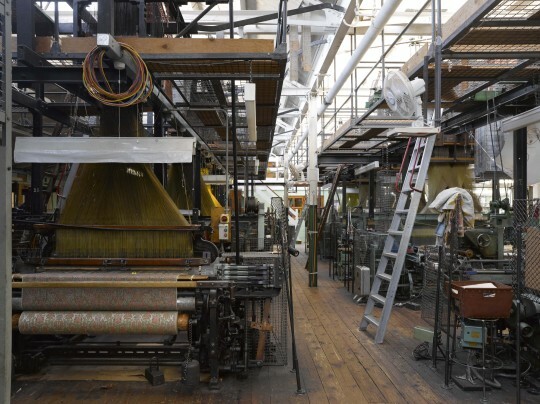 The way in which these looms work is far more flexible than the Hattersley looms, as each thread within the harness repeat, operates independently. 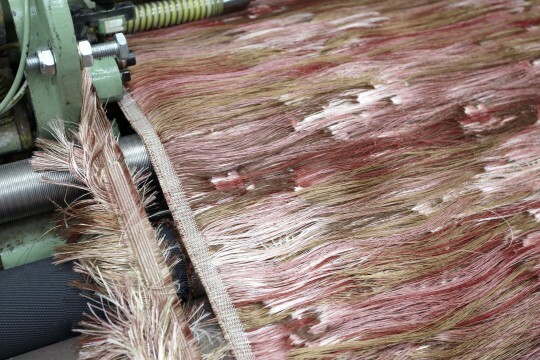 We are able to use more wefts and can fit many more weft threads in per inch than we can with the Hattersley looms. We are practically unconstrained with weave structure and can produce a huge variety of different weights of cloth on the same loom. There are infinite choices when it comes to x + y, and here at Gainsborough Weaving, we work with clients to ensure our ‘outcomes’ have the right combination of factors to produce a cloth specific to the end use and design aesthetic required. We were never too keen on algebra at school, but this kind of formula makes our looms sing and our craft alive.